It all started off so easy. 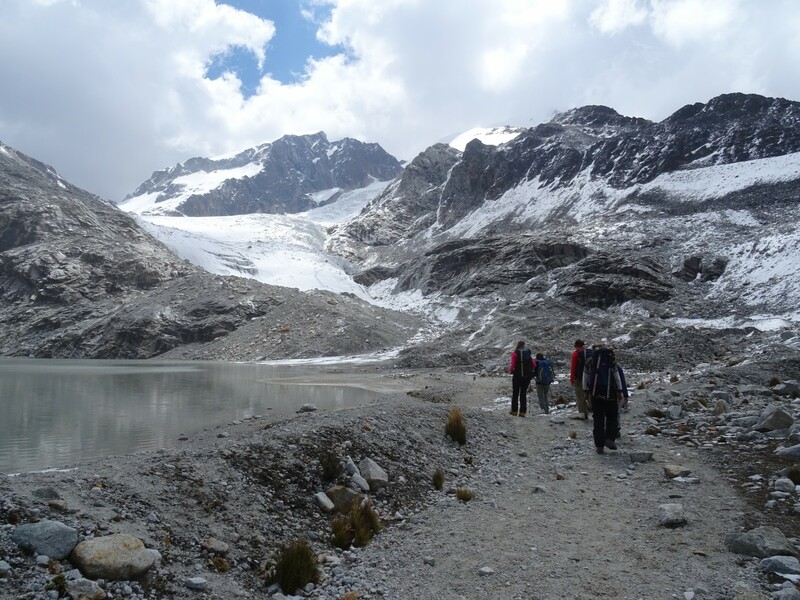 After meeting up at the agency, emptying our bags of all belongings, being fitted for our gear and packing everything needed, we set off for Huayna Potosi base camp. In the van, obviously. I told you it started easy. First sighting of the beast. 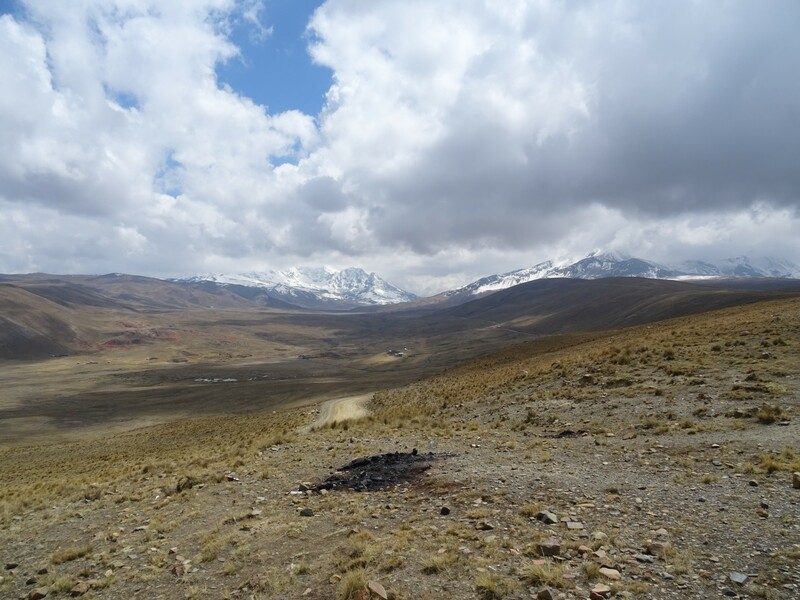 The journey took a couple of hours, and before long we were cresting the bowl, exiting El Alto. From here, the mountains of the Cordillera Real were visible. 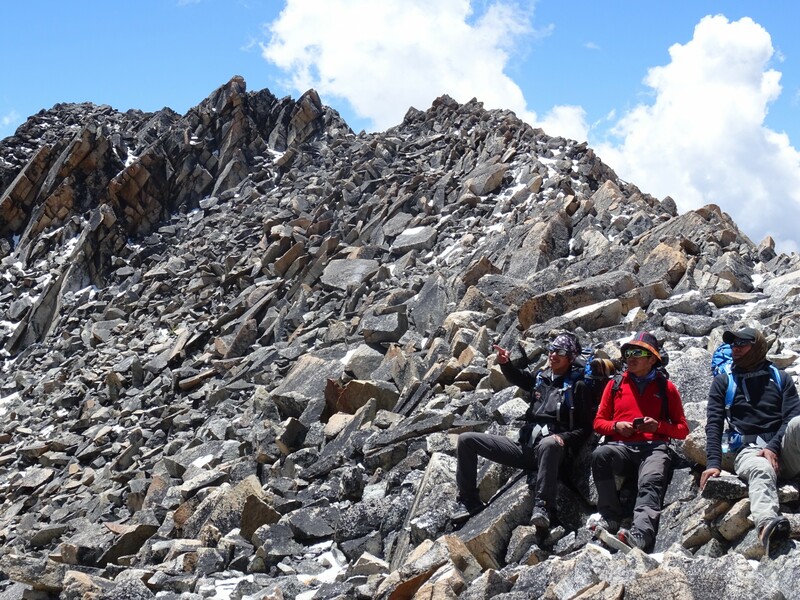 After a good quality lunch at base camp, we left most of our gear behind for the first leg of our three day journey. 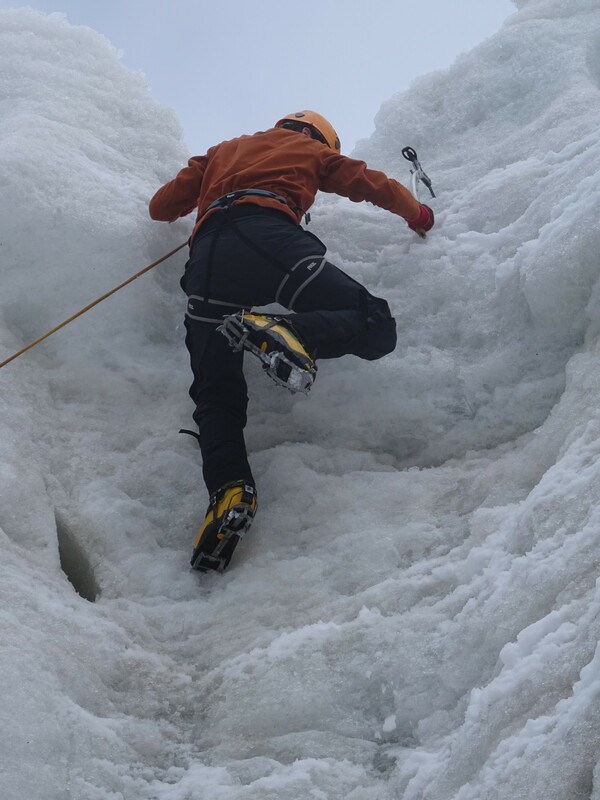 This was about getting to grips with the conditions and involved a trek up to a small glacier where we would practice with crampons, ices axes and the rope to bind us together. There were five of us in our group altogether. 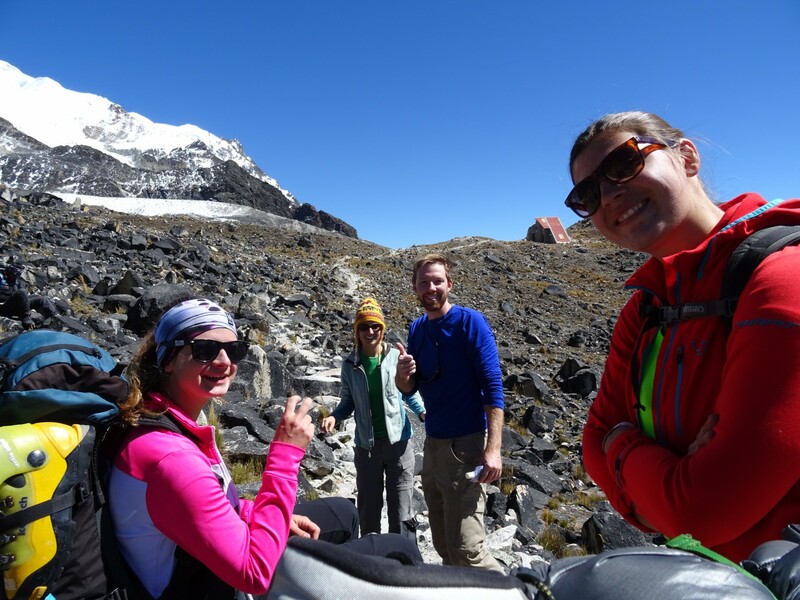 Bill and Sarah, an American couple who had spent the last couple of weeks volunteering building houses in El Alto, and Christina and Magdalena, Austrian girls with (obviously) far more mountaineering experience than myself. Lastly, was me. This odd number meant that we had three guides between us, Juvenal, Herman and Elio. The groups sorted themselves out easily, leaving me solo with my guide, Elio. The glacier. It’s pretty cool. 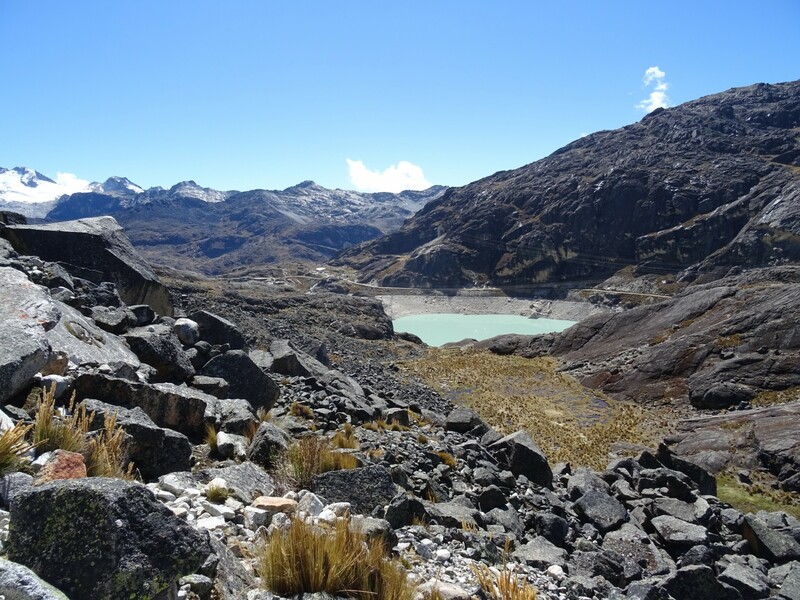 The first part saw us walking in hairpins up a steep section of the glacier, in imitation of what would come later in the climb. Switching the ice axe from side to side and following in step with Elio was easy enough. The second part saw us descend to the bottom again and crank up the fun. 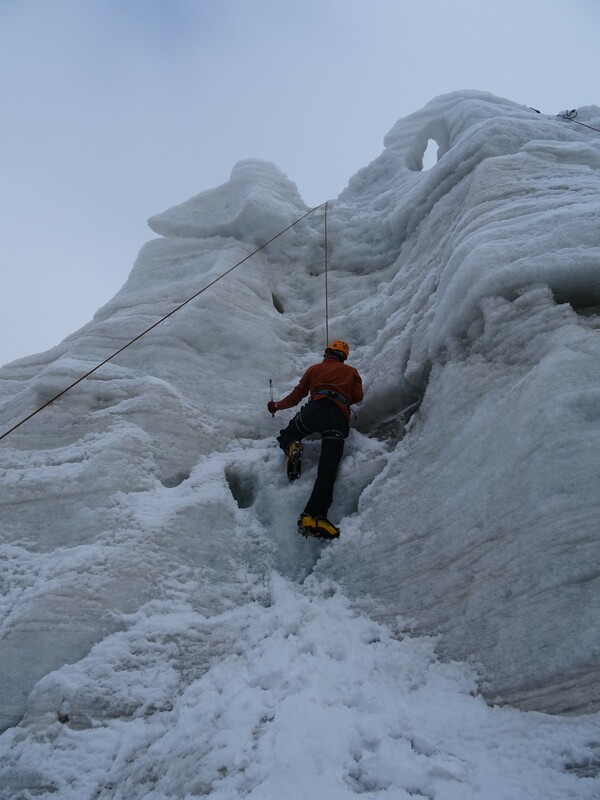 Vertical climbing with axes up a tall slab of ice. Bit of ice climbing. No problem. Punching crampon laden boots and our ice axes into the frozen wall was actually quite easy (like climbing trees!) and it was actually harder to pull the axes back out again. It was great though, and, all roped up, there were no safety issues to worry about. I sped up the glacier edge and did the same a minute later, climbing another section in the crevasse. I’d like to claim special levels of awesomeness on my part, but all our group made it up. Maybe we were all awesome. Ice cool! I’m sorry, it won’t happen again. Fully rested after going to bed at seven o’clock, we set off the next morning for high camp. 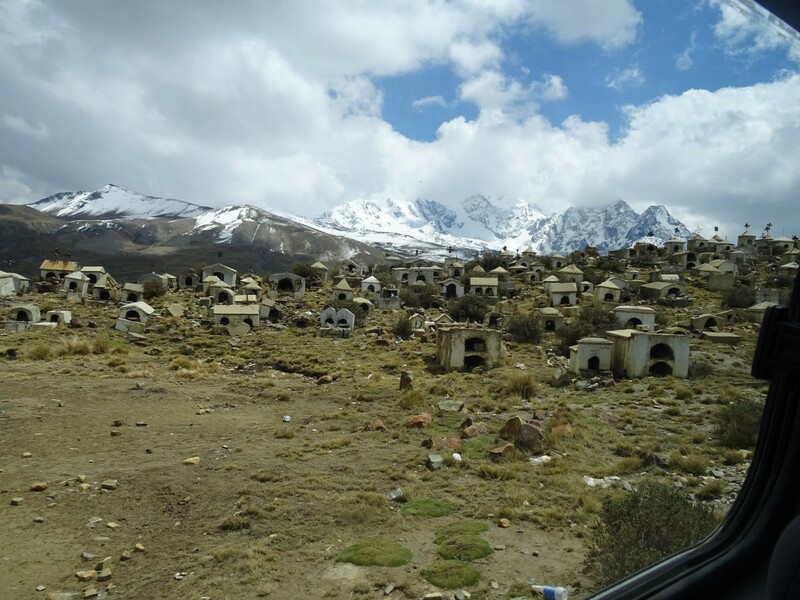 Only a small increase in altitude from 4700m to 5130m, the main aim was to slowly acclimatise, hopefully lowering the chances of altitude sickness. 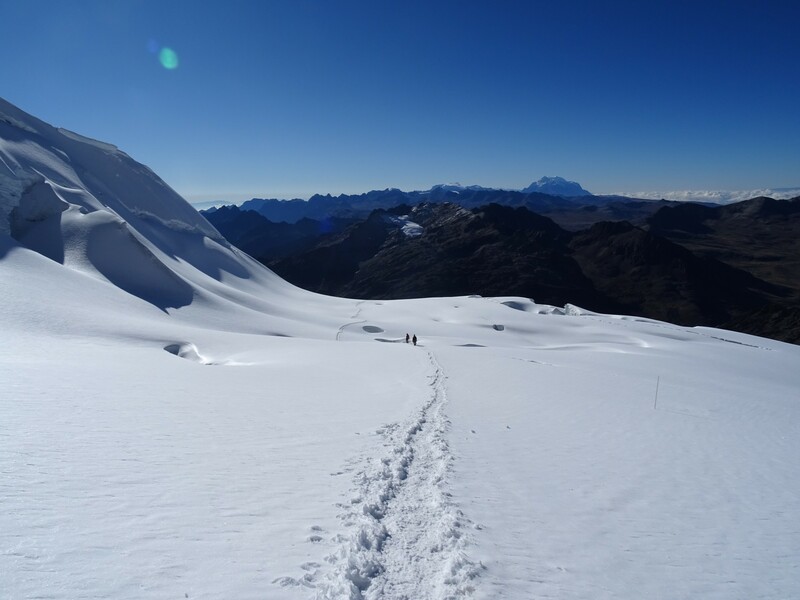 This is the bane of trekkers and climbers in the area, and though Huayna Potosi is considered to be easier than many equivalent altitude climbs due to acclimatisation in La Paz, its still a big issue. It’s still a long way to the top. 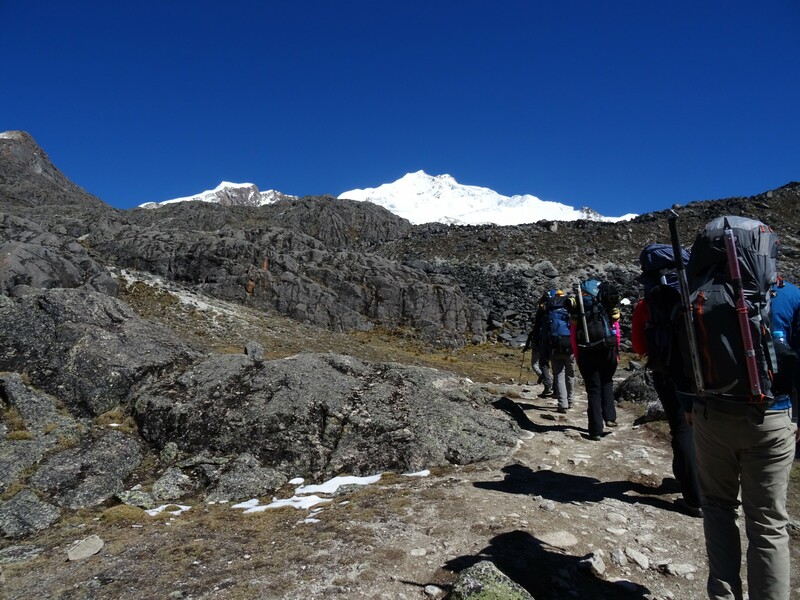 While we carried all our luggage to high camp, including plastic boots, crampons and sleeping bags, it was a relatively easy climb, made easier by not having to wear the aforementioned boots and crampons. Rocks and gravel meant trekking shoes were the order of the day! Less than two and a half hours later we were at high camp. On the way up on the second day. (L-R) Christina, Sarah, Bill & Magdalena. 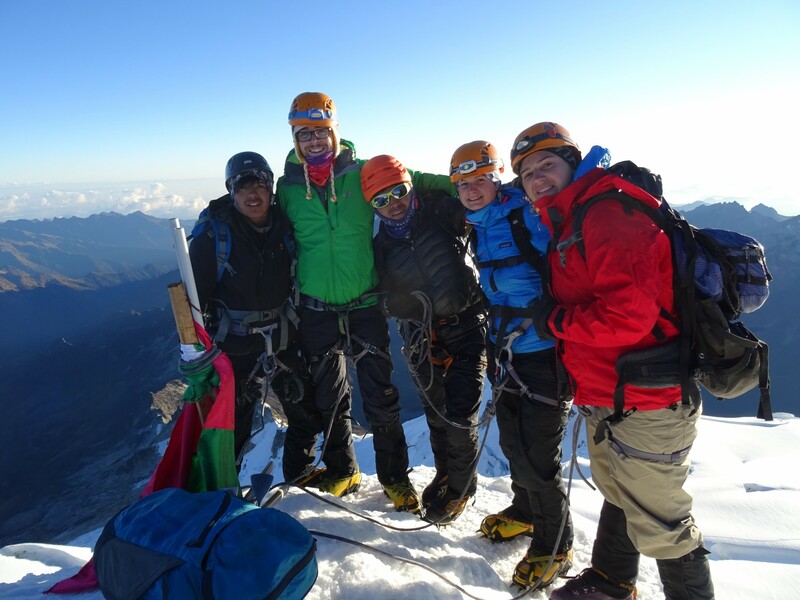 Everyone who climbs Huayna Potosi uses the same high camp, so there were many more people here from the different agencies. We even met up with Jasper, who had decided to go with another agency. While I had been battling a dull headache from the altitude all trip, Jasper had been fine. That was until real sickness hit – what looked like the first casualty of the mountain, as reports surfaced of his illness. His wielding of a Dutch passport gave everyone their explanation – he pretty much lives below the sea! Jasper recovered though, joining in on our card games and Pass the Pigs, where Bill’s rule revelation made it a completely different game. A couple of good meals, an excessive amount of Coca tea, some experimentation with Coca leaves and a dozen trips to the toilet later (it’s the altitude!) and I was ready for bed. We would be up at midnight for the last leg. Breakfast complete, our group set off after 1AM, the last to leave. Crampons and ice axes were required almost straight away, and we began our steady plod, through the darkness, to the top. Twisting and turning whichever which way, climbing steep slopes and more gentle gradients, the difficulty wasn’t obscene. Steadily drained though we became, the big question was how high we were, a question I asked Elio at almost every opportunity. That and how old he was – a question the whole group had had on our minds. His fluffy moustache reminiscent of my 14 year old self was the giveaway of youth, but his revelation he was 18 still surprised me. Nevertheless, he showed me up stamina wise the whole journey, dodgy moustache or no. Eventually, as the sun started to rise and we had witnessed several people turn back, we saw it. Gloriously, amazingly, the peak. The summit. The cumbre. And before it, the steep, leg assaulting final climb. We were tired by this point, Bill, Sarah and Juvenal having dropped off the back of the group. We could see some of the others in the distance, and could but trudge on. 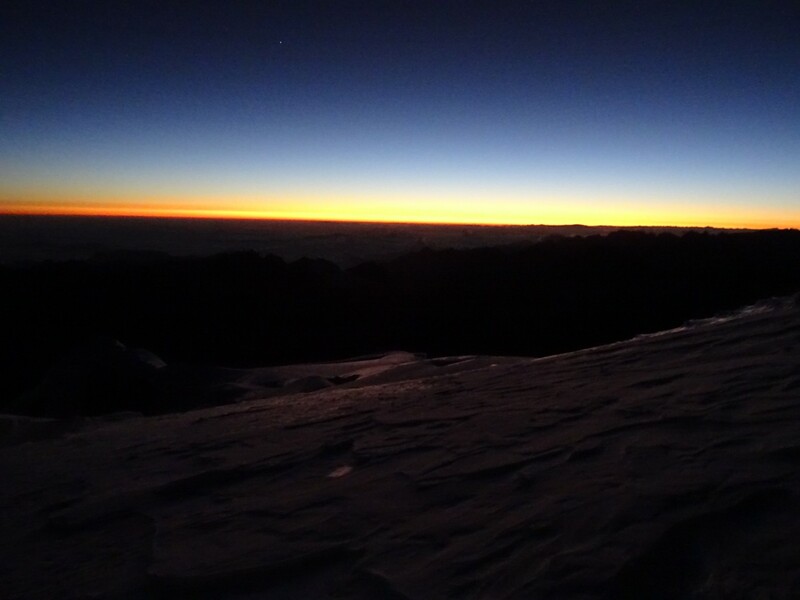 Sunrise before the final ascent. Drained as we were, this final ascent was agonising, the snow less compact and so giving way under our boots in a way it hadn’t before. Struggling over rocks strewn in our way, the path caused everyone t stop and start, reducing reserves even more. As we passed one group, we turned and could see the end. Vigour renewed we struggled on, passing Jasper, who remarkably, after his sickness, had reached the top and was on his way down again. A triumph if there ever was one. A minute later, we got there ourselves. Myself, Christina, Magdalena, Elio and Herman. Success! It’s more relief than anything else at this point. The views from the top were amazing. 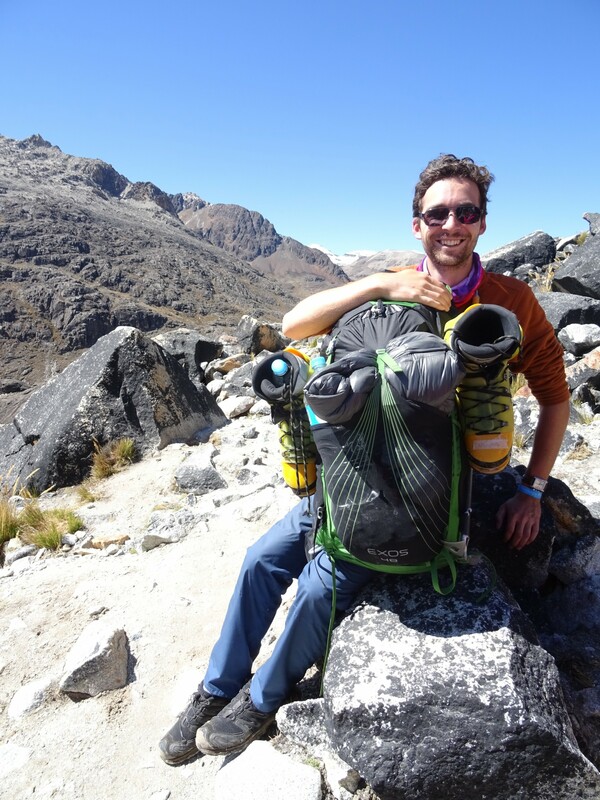 All the way over the Cordillera Real, Lake Titicaca, La Paz and so much of Bolivia. We had little time to appreciate it though – it was time to descend. Those are mountains below. Tall mountains. All my energy gone, this was the hardest part for me, and required all of Elio’s patience. As Christina and Magdalena vanished in the distance, my legs felt like jelly under me, barely staying upright. My previously purposeful walk became a painful plod. Making it down to high camp, I was relieved. Relieved, and cream crackered beyond belief. Breakfast and a short rest (along with no snow) meant the descent to base camp was not nearly so torturous. This didn’t stop me from crashing though. Back at the hostel, after collecting our certificates, I became fevered and immensely tired, barely moving for the next couple of days. All my energy gone, my immune system succumbed to its fate. I recovered though, enough to bask in glory before leaving La Paz. 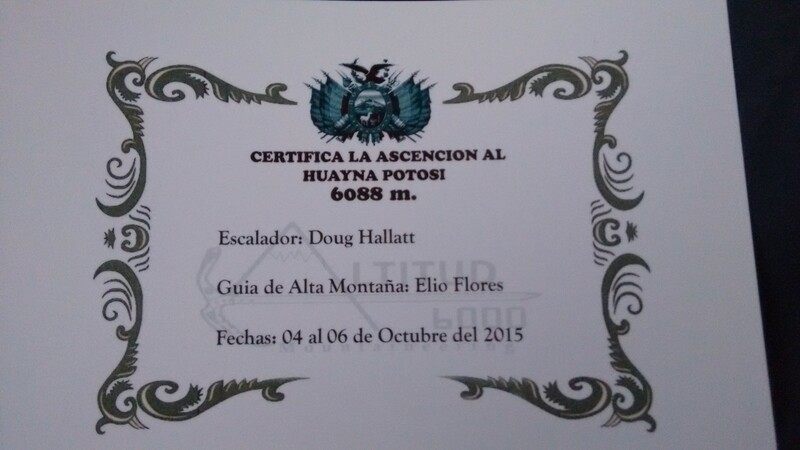 Bill, despite struggling with altitude sickness and cramps had also braved his way to the top, meaning almost 100% of those I knew. Sarah had only missed out due to shortness of breath just before the final climb, a personal success. I’ve seen online that success it about 70%, so 5/6 sounds pretty good. For that I have to thank Juvenal, Herman and most of all Elio. They made us champions. “I reck he’ll only make it to that ridge there. What do you reck Herm? Juve?” – A wholly accurate and truthful assessment of Elio’s expectations for the forthcoming climb. 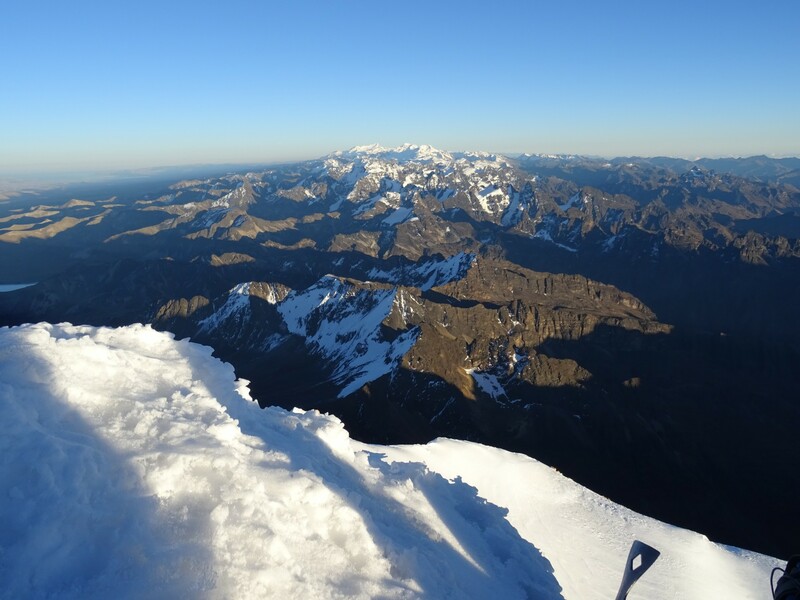 Glacier, Hiking, Illness, Mountain Climbing, Mountains, October 2015, Spectacular Views. Bookmark. Are those my pigs you had with you on the mountain? Did they make it to the top? Yes they are. 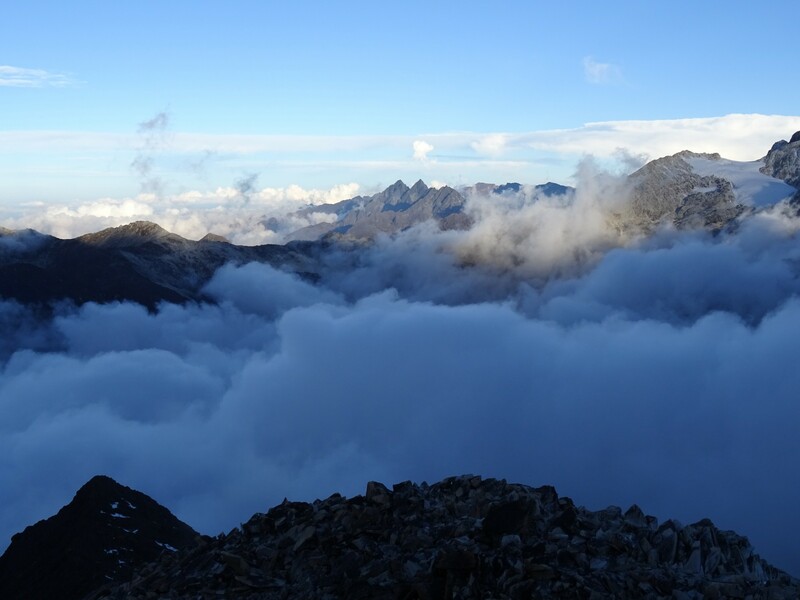 They didn’t unfortunately – just to high camp. Still, 5130m is pretty impressive for a coupla house trained pigs!